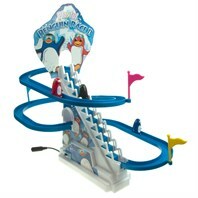 Penguin Racer is a fun switch adapted toy encouraging learners to press a switch and set the three penguins off on a race! 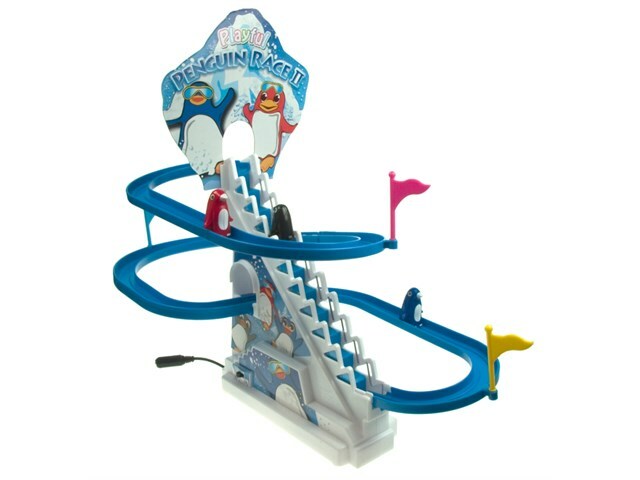 Watch as the penguins are hoisted up the ski lift ladder, then slide quickly down the winding slope before they do it all over again. Releasing the switch lets the penguins stop for a breather. Height is approximately 14"/36cm. Contains small parts so may not be suitable for all learners. Use a 3.5mm switch (not included). Supplied with 1 x D battery.